open-vm-tools – an open-source project led by VMware delivering guest OS integration to a number of Linux distros. VMware Tools – shipped with Workstation and ESXi (the hypervisor OS for servers managed by vSphere/vCenter), component that can be installed through a virtual CD image mounted to the VM. This is the standard way to do guest integration on Windows and Linux distributions that do not support open-vm-tools. 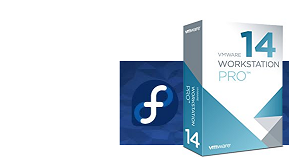 Fedora 19 and above come with open-vm-tools. This means that a virtual machine will be by default configured with Guest OS integration at the moment of install. Imagine my confusion when – after I got all my issues with Gnome 3 and had the cursor running in smoothly in seamless mode – I still couldn’t copy and paste! Somebody could have prevented clipboard integration through a Windows group policy in a fit of paranoia. Since the machine was exported from vSphere some configuration flag might be off in the resulting .vmx file. There might be a bug in Workstation 14. I ruled out tech support involvement – I could copy / paste between my workstation and the original VM running on vSphere. Having exhausted the open-vm-tools update options and hand-crafting the .vmx file, I tried the freshly released Workstation 15. To my surprise, it actually crashed trying to run my VM. One filed bug and one downgrade later, I actually figured it out. There is a Separate Package! Last metadata expiration check: 11 days, 7:02:32 ago on Tue 18 Sep 2018 03:51:39 PM EEST. Last metadata expiration check: 11 days, 6:59:45 ago on Tue 18 Sep 2018 03:51:39 PM EEST. Voila! Copying and pasting were again a luxury I had access to. Interestingly enough, the installation example inside open-vm-tools‘s FAQ shows both core and -desktop package installation (a page created this February) but no explanation or further information is available. Anyway, one more problem went away. Unfortunately it’s not only you. The new versions of the theme overdid it with the animations. Looking into fixing them.